COSA HANNO IN COMUNE “INFINITE JEST” DI D.F.WALLACE, “IL SIGNORE DEGLI ANELLI” DI TOLKIEN E I “TERMINI E CONDIZIONI” DI ITUNES? SONO TUTTI QUANTI LUNGHISSIMI E CONSIDERANDO IL FATTO CHE AVRESTI DOVUTO LEGGERLI, NON L’HAI MAI FATTO. BENE, PER CERCARE DI RISOLVERE QUESTO PROBLEMA, ROBERT SIKORYAK HA PENSATO DI TRASPORTARE IL NOIOSISSIMO TESTO DA QUELLE FREDDE PAGINE MONOCROMATICHE IN UN PIÙ SFIZIOSO E LEGGIBILE FUMETTO. PER RENDERE IL TUTTO PIÙ ENTUSIASMANTE ED EMPATICO HA SCELTO FUMETTI CHE TUTTI CONOSCIAMO COME I SIMPSONS, SNOOPY, GARLFIED, WONDER WOMAN, E ADDIRITTURA I MINI PONY. 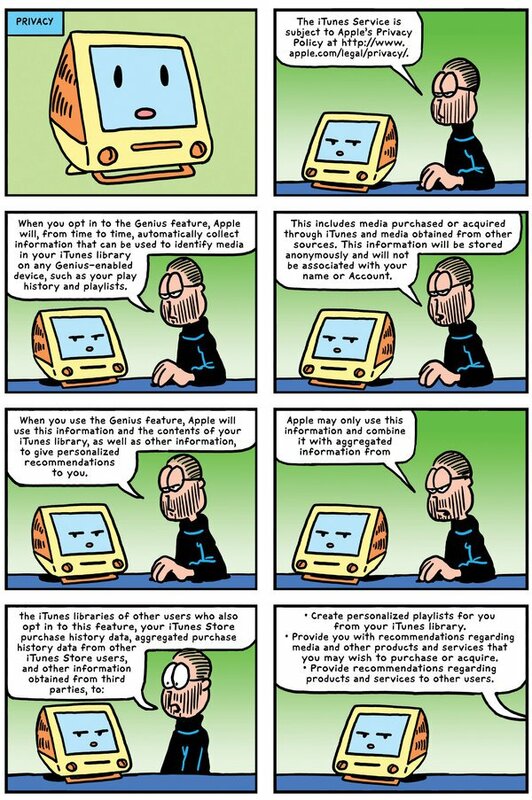 TUTTI QUESTI PERSONAGGI DIVENTANO DEGLI STEVE JOBS CHE CONTESTUALIZZATI IN SCENE TIPICHE DA FUMETTO, TI SPIEGANO DETTAGLIATAMENTE COSA PUOI E NON PUOI FARE QUANDO SCARICHI E USI ITUNES. 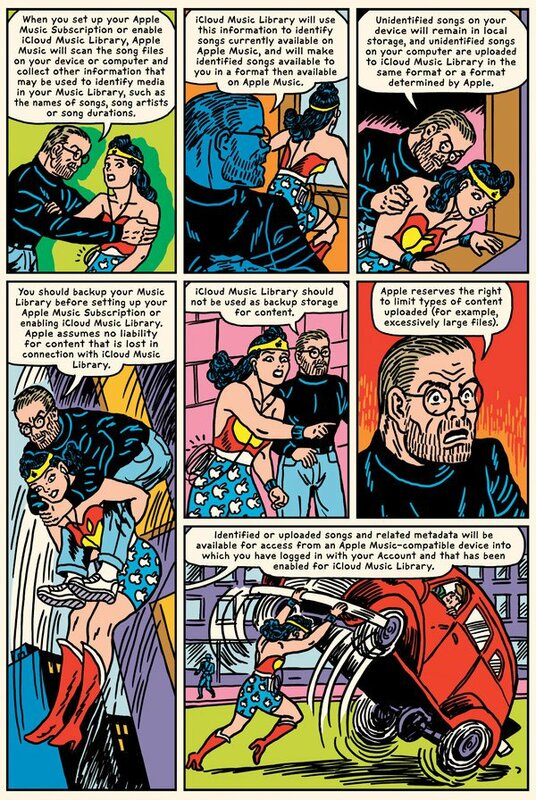 WONDER WOMAN ASCOLTA UN SERIOSO STEVE JOBS MENTRE LE PARLA DI ICLOUD, MA FA FINTA PERCHÉ SE GUARDI BENE INDOSSA LE CUFFIE DEL’IPHONE, QUINDI SI FA I CAZZI SUOI. 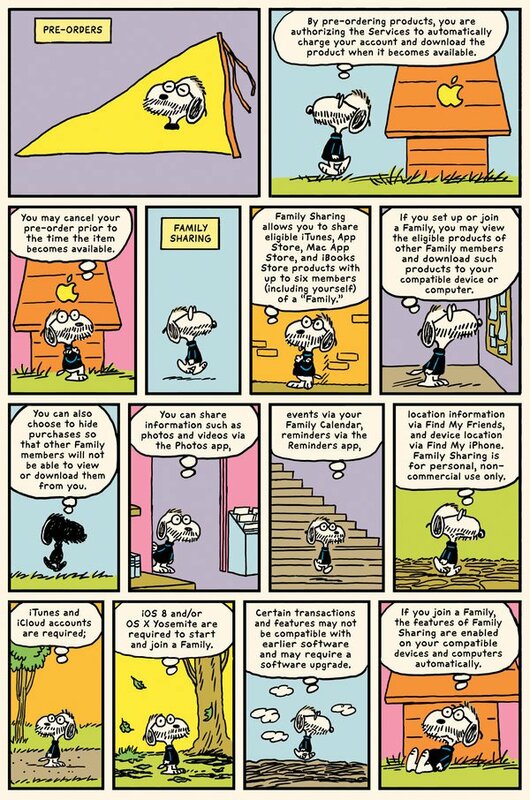 SNOOPY JOBS, CON LA SUA IMPERTURBABILE ED ICONICA CALMA, PENSA AI PRE-ORDERS E AL FAMILY SHARING. PERCHÉ SHARING IS CARING. 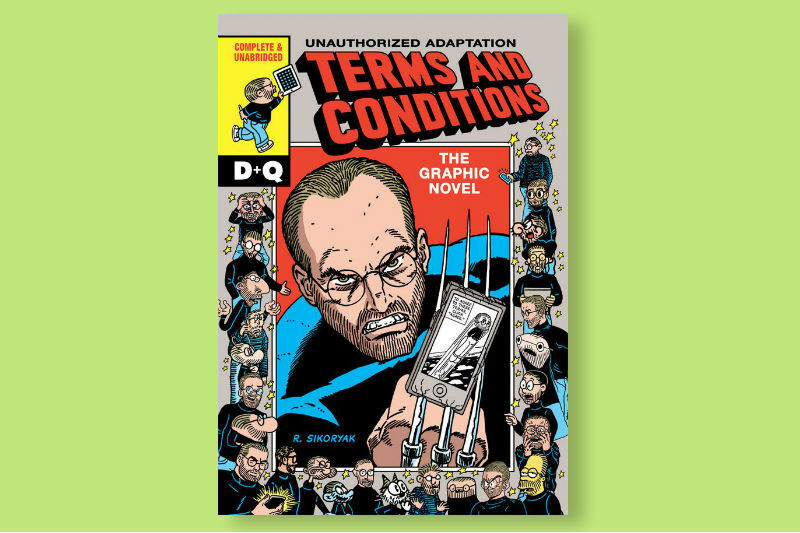 SE TI SEI GASATO PER QUESTO PROGETTO PUOI COMPRARTELO QUA, MENTRE SU QUEST’ALTRA PAGINA TROVI TUTTI GLI ALTRI LAVORI DI TRASFORMAZIONE FATTI DA ROBERT SIKORYAK.